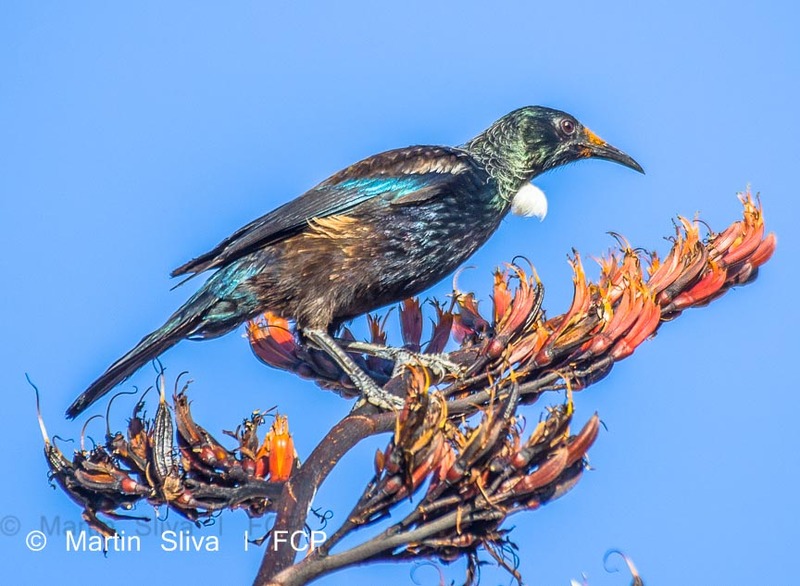 Birds, lizards and bats are endemic to our amazing World Heritage-status region (and the rest of New Zealand). Mammals (apart from bats) don't belong here, and birds, lizards and bats have struggled to survive ever since the introduction (by humans) of bird-eating and egg-eating mammals such as stoats, rats and possums. 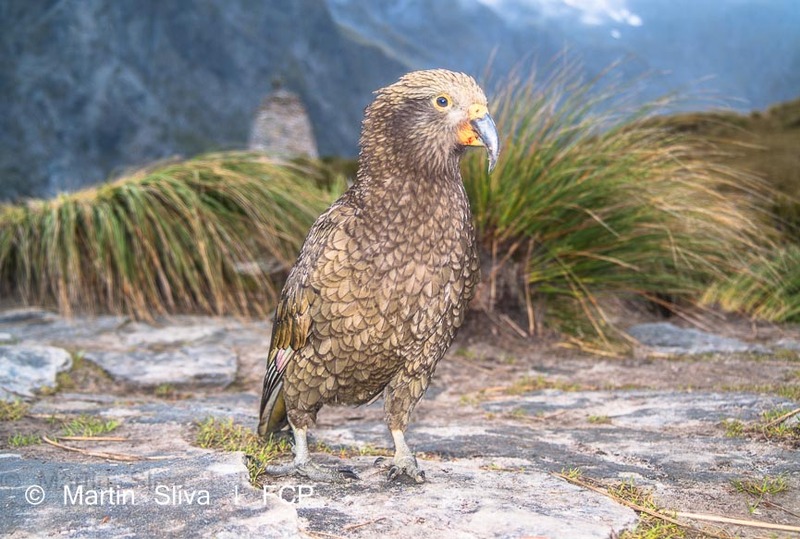 When Captain Cook first visited the shores of Fiordland, it was said that his crew could barely hear each other speak because of the cacophony of bird song, including the booming kakapo (a beautiful, huge, parrot). 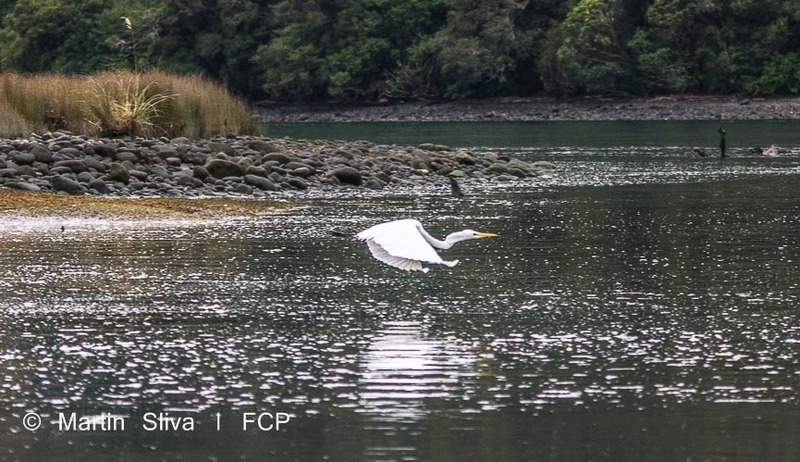 Now you can still enjoy bird watching our incredible birds, but the forests of Fiordland are much quieter. Kakapo only live on island sactuaries managed by the Department of Conservation, and many other birds still on the mainland are endangered. 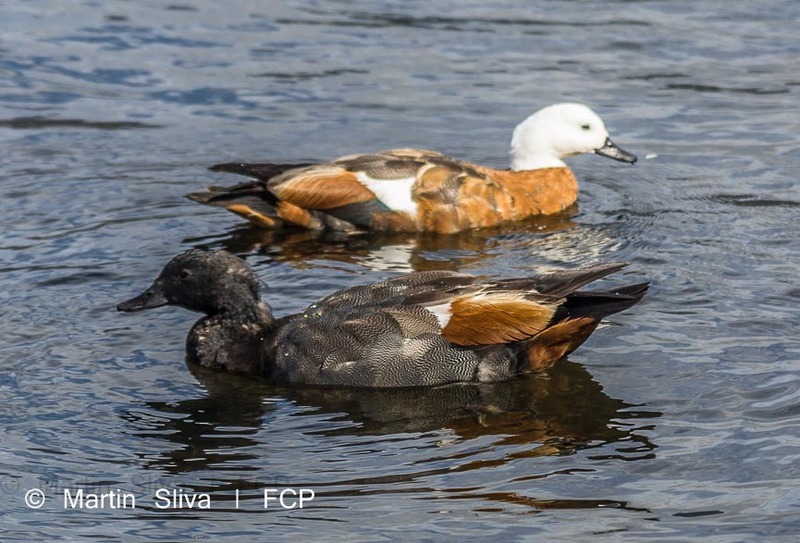 Many bird populations have been taken down to critically-low levels due to mammals eating them, and their eggs, and the plants they eat. 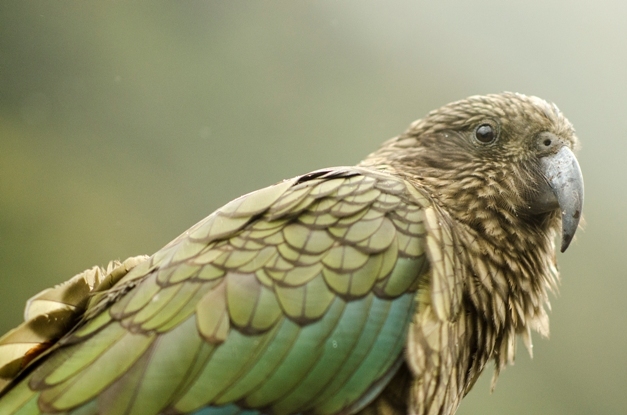 Maori and early european settlers ate the kakapo and other larger birds. Lizards and bats have also been badly affected by mammal predators. 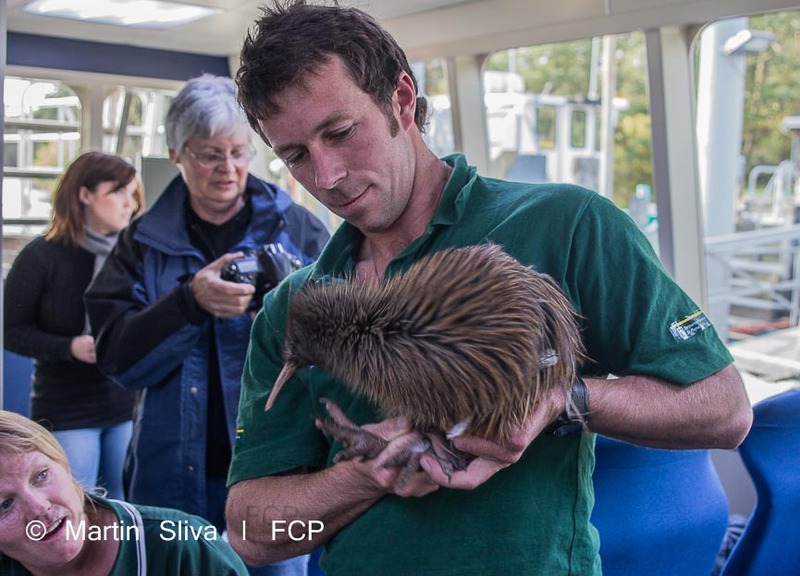 Read on to find out about Te Anau's particularly endangered takahe birds, and the amazing Kids Restore the Kepler Conservation project. 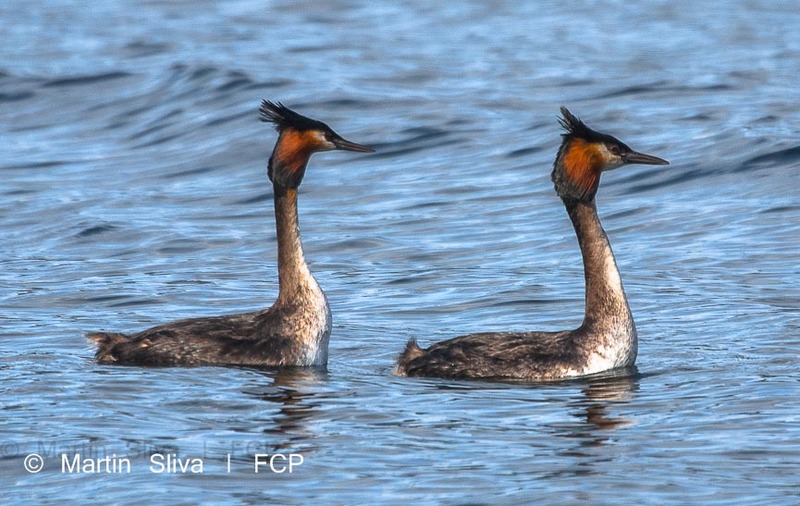 For lots more fascinating information about birds, lizards and bats in our region, and conservation efforts to save them, visit the highly-informative Department of Conservation website. 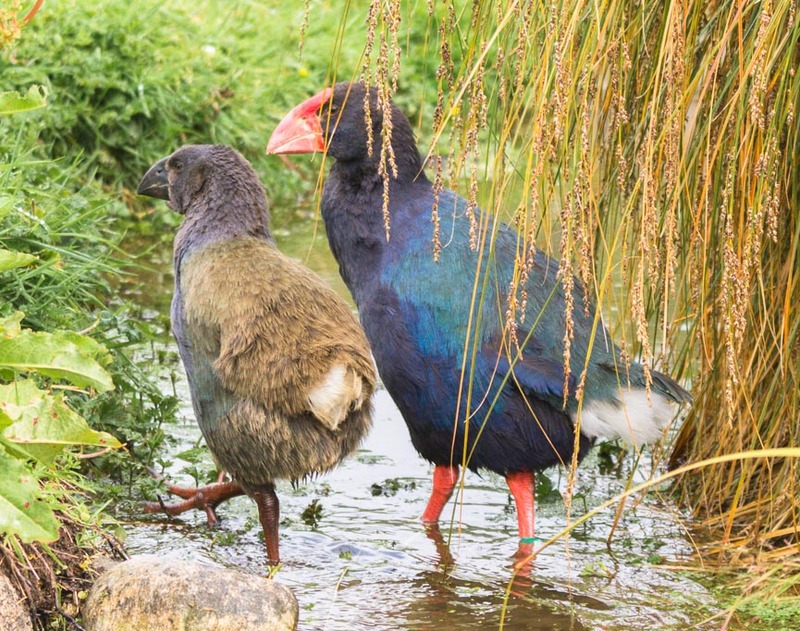 The beautiful blue takahe (pictured right) is Te Anau's most famous bird. 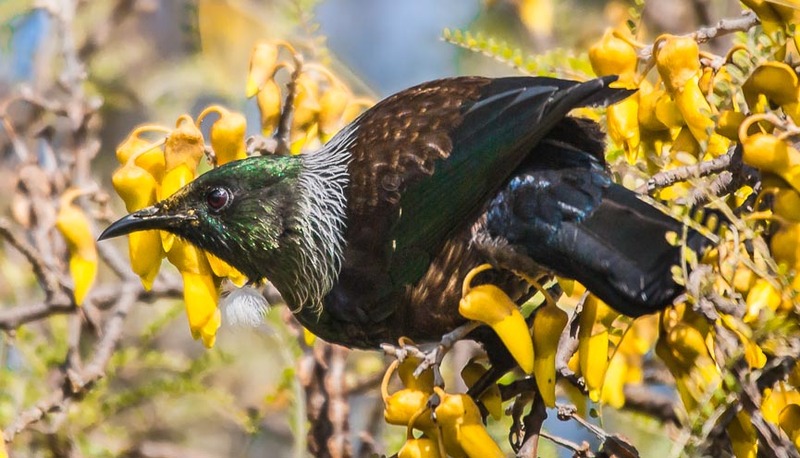 About the size of a large hen, it is incredibly rare and critically endangered; it was once thought to be extinct and was re-discovered in 1948 living high in the Murchison Mountains, directly opposite Te Anau town. 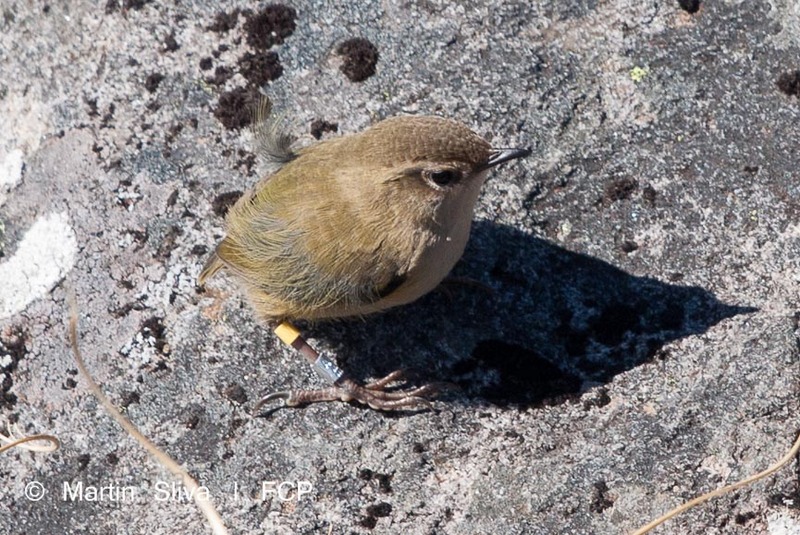 This incredibly flightless bird lives in alpine grasslands and eats tussock (alpine grass). It needs to feed nearly all day to gain the nutrition it needs. 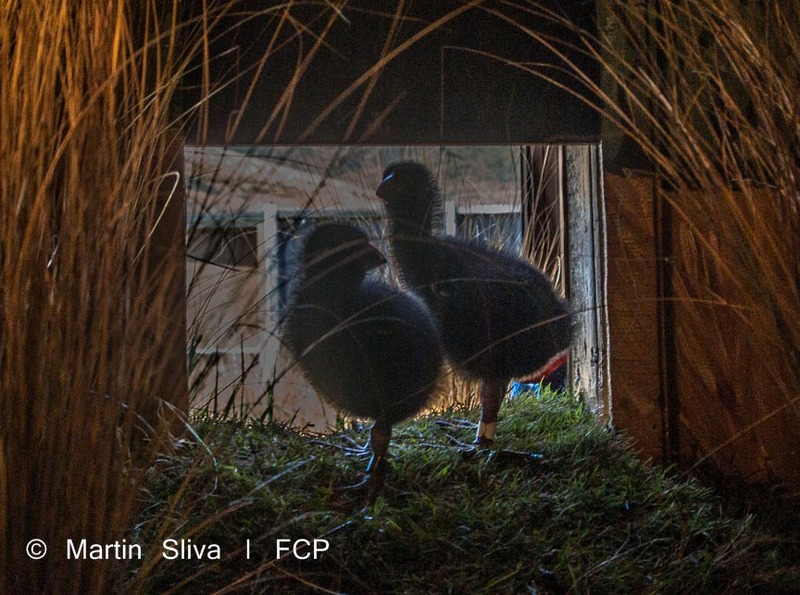 Takahe lay between one and three eggs, but on average only one chick per breeding pair survives its first winter. Takahe are loving families; the young stay with their families for up to 18 months, helping their parents to raise the next chicks. 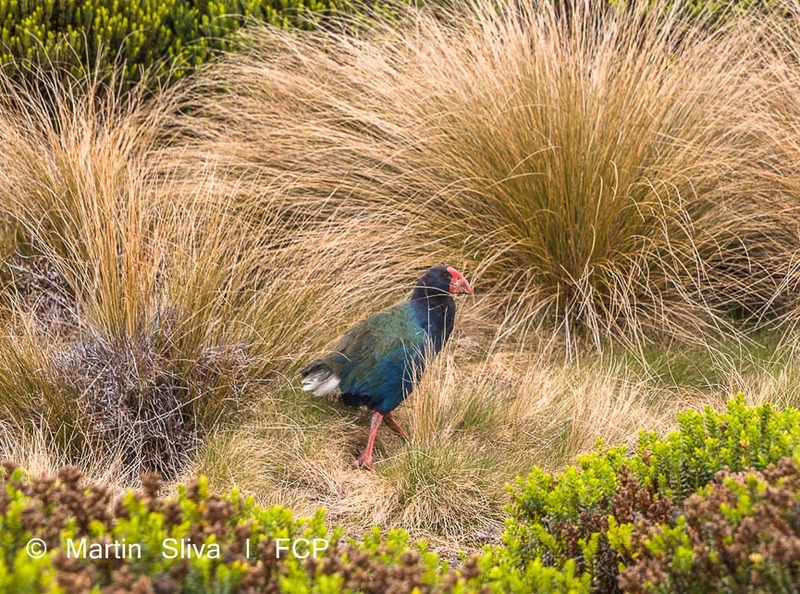 The population of takahe still remains on the brink, despite intensive efforts to save it through trapping non-native predators (such as rats, stoats, and mice) and helicopter shooting of deer (which are also non-native and which destroy the habitat of takahe). The trapping effort covers 50,000 hectares in the Murchison Mountains, and involves conservation workers walking for days throughout the year, over high mountain passes and sometimes in extreme weather conditions, to empty and re-bait the traps. 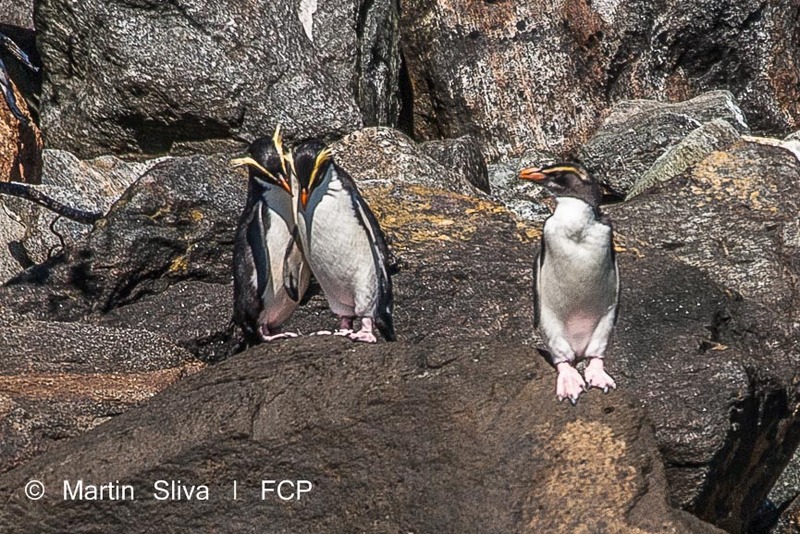 Members of the public are not allowed to enter this specially-protected area. There is also a takahe breeding programme run from the Burwood Takahe Breeding Centre near Te Anau, where about 20 breeding pairs are hatching and rearing chicks, and visitors and residents of Te Anau and Manapouri can see takahe in the takahe enclosure in the Wildlife Centre south of Te Anau town centre, accessible along an easy lake-front walking track. 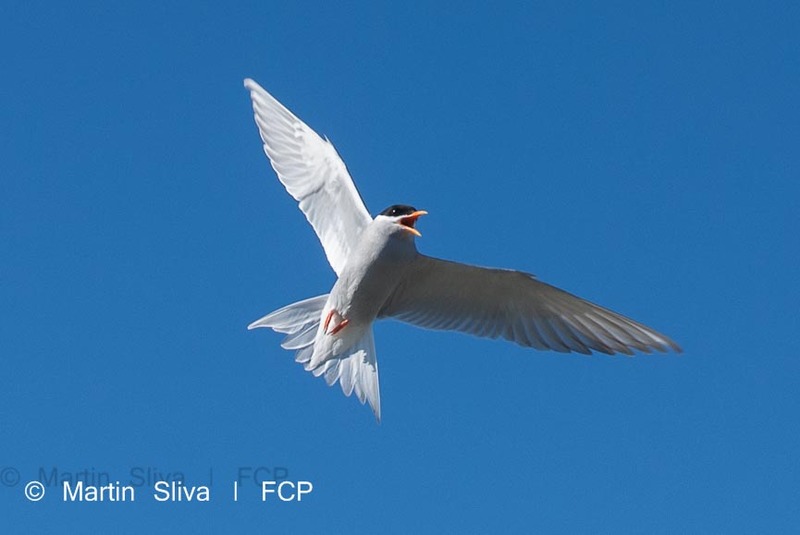 The original goal was for a self-sustaining population of more than 500. 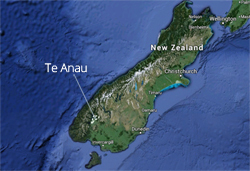 At the beginning of 2013 there were known to be 263 takahe. Next door to the Murchison Mountains are the Kepler Mountains, famous for the Kepler Great Walk Track. These awesome mountains are currently benefitting from an intensive conservation project called Kids Restore the Kepler. 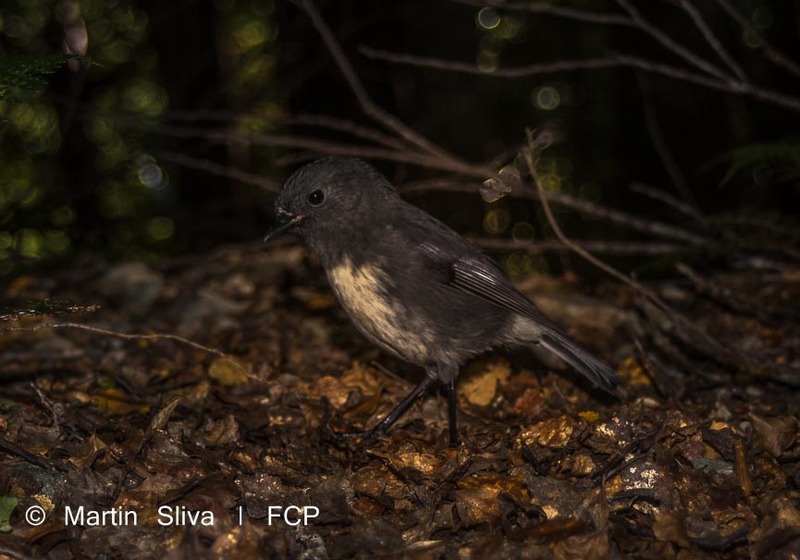 Local kids are helping to check predator traps that have been intensively placed over a grid of wilderness forest in the hopes that birdlife will improve. 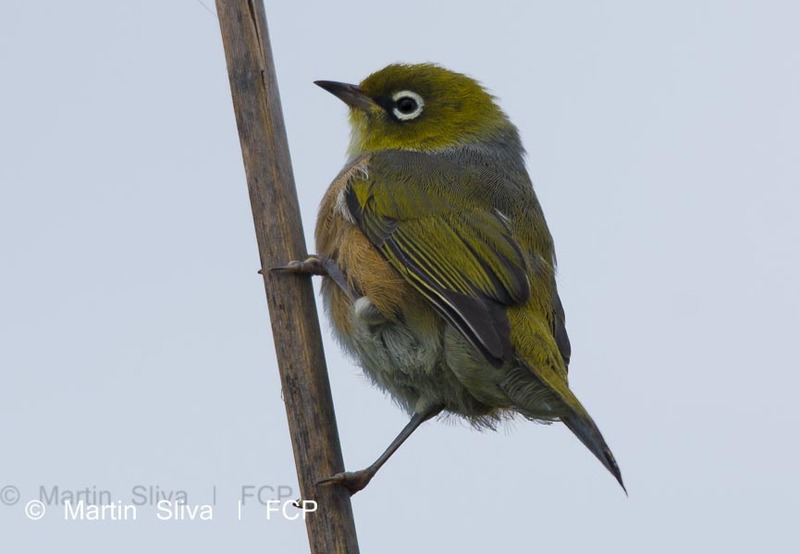 There are many beautiful birds in the Kepler Mountains, from fantails to tomtits, so this is a fantastic project that is most deserving. 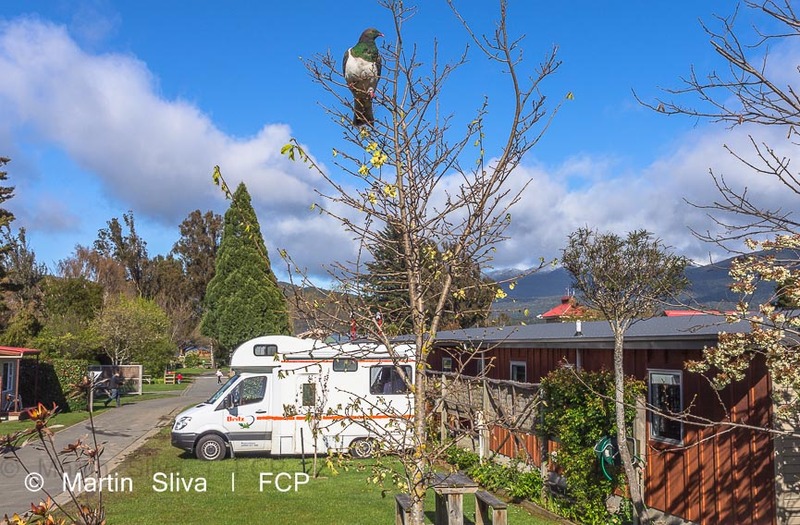 Some of the rare species in this area are kiwi, whio (blue duck), kaka and kea parrots (pictured left), kakariki (a parakeet), robin, rock wren, mohua (yellowhead) and weka. If you see a trap while walking on the Kepler Track, do not disturb it. 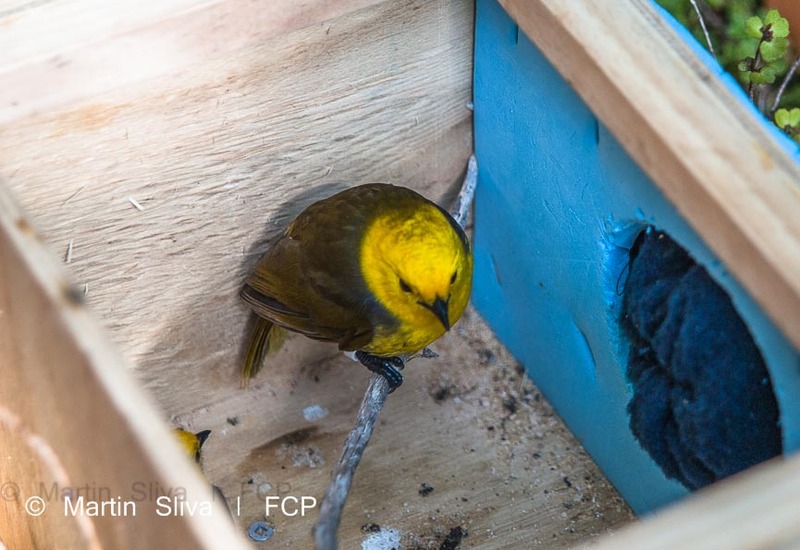 For more information about this fantastic project, visit the Kids Restore the Kepler website, or the Fiordland Conservation Trust.